You can always go to my Redbubble print on demand page instead. A Printable poster sharing my tips for Getting Unstuck and Getting Started with Powertex. 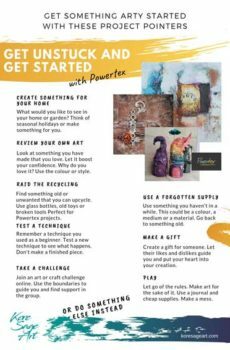 If you have time to create but don’t know what to make, a few Powertex Project Pointers can help. Print and pin up by your craft table.